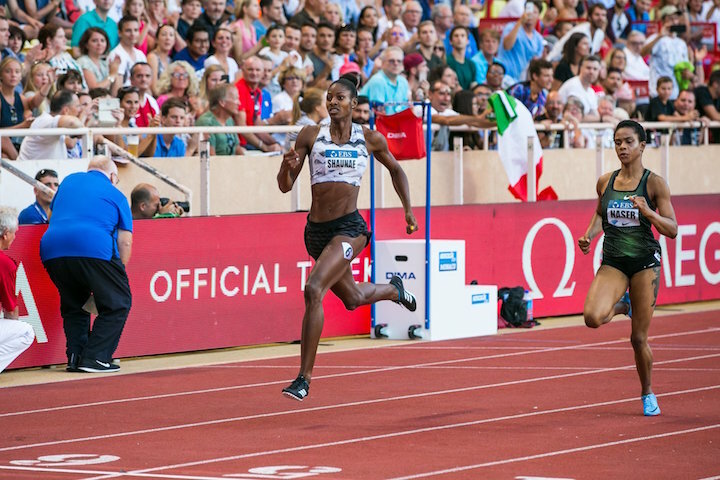 MONACO — Olympic 400m champion Shaunae Miller-Uibo had to produce the fastest run of her career to hold off the challenge of Bahrain’s 20-year-old Salwa Naser Eid on a steamy night in the Stade Louis II stadium on Friday (20). And she did, setting an IAAF Diamond League and Bahamian record of 48.97. Her smaller opponent was second in 49.08, taking almost half a second off her own Asian record. Watch the video on Youtube. The first meeting of the season between Miller-Uibo, who has been concentrating mainly this year on the 200m, at which she has become Commonwealth champion, and the young woman who had won the four previous IAAF Diamond League meetings was always going to generate its own steam. Read more at IAAF Diamond League.